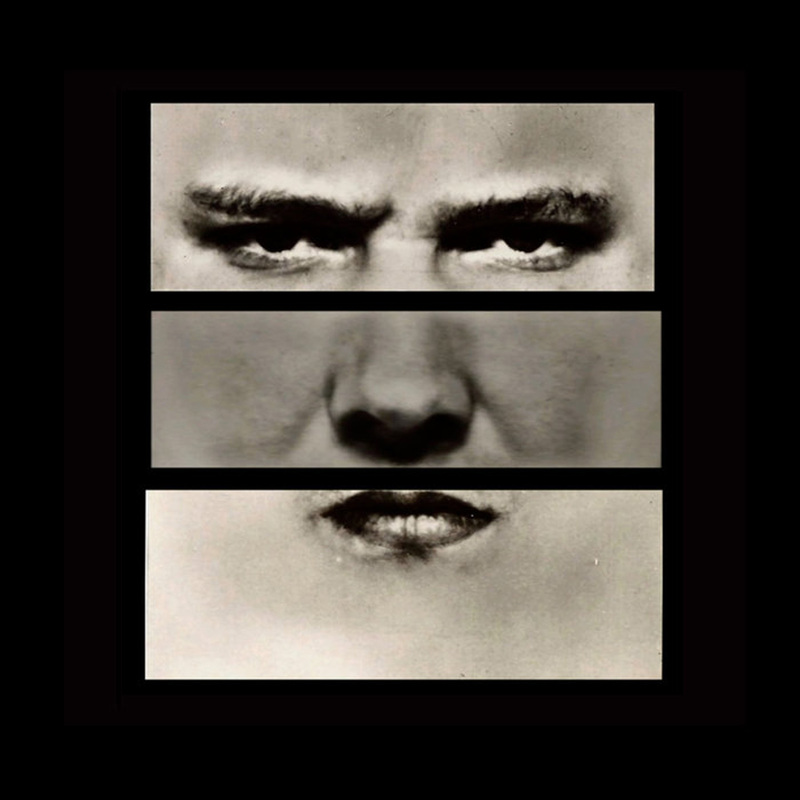 Brainwashed - Meat Beat Manifesto, "Impossible Star"
Meat Beat Manifesto, "Impossible Star"
After a bit of a lengthy hiatus, Jack Dangers has returned with quite a bombshell of a new Meat Beat album. Self-described as resembling "an MC Escher optical illusion that spirals around and around and never seems to end," Impossible Star feels like a deep and hallucinatory plunge into a dance club in a dread-filled, dystopian near-future. Everything I would expect from a new Meat Beat album is certainly present (vocoders, cool samples, infectious grooves, deep bass, vintage synths, etc. ), yet Impossible Star feels like a large and unexpected leap forward. While Dangers has historically always been near the vanguard of fresh evolutions in dance and electronic music, this album is perversely backward-looking in a way, seamlessly synthesizing the best of MBM's previous directions into something fresh like a post-industrial magpie. As a result, Impossible Star does not feel like a definitive (and unavoidably ephemeral) representation of electronic music in 2018 so much as it feel like something much more ageless, prophetic, and deliciously warped. The brooding and claustrophobic opening piece, "ONE," is not a particularly representative glimpse of what is to come stylistically, yet it is perfect for establishing the disorienting and unnerving mood of the album: eerie synths ripple, shimmer, and dissonantly blur together and a cold, indistinct female voice appears that sounds like a looped intercom message reverberating through an abandoned concrete edifice. It feels like reality itself is evaporating into a deeply alienating and lonely dream. The following "Bass Playa" does not dispel that feeling of inhumanity and isolation much, but the sickly and skittering jazz-inflected groove that kicks in at least signals that the album has begun in earnest. It is not until the next piece ("We Are Surrounded"), however, that it becomes clear that Dangers has some truly inspired new material to share. I hate to compare Dangers to anyone, but "Surrounded" unavoidably calls to mind the thrill of classic Aphex Twin, as it mingles a wonderfully erratic, jabbering, and squiggling synth motif with a propulsive groove and a queasily uncomfortable progression of blurred chords. It instantly became my favorite song on the album, as the sputtering derangement of the synth "melody" is wonderfully unsettling, unpredictable, and visceral. Eventually, the groove collapses into an outro that sounds like a confused and gibbering computer alone in an abandoned control room. That outro illustrates the evocative and unusual sequencing that pervades Impossible Star, as it is strewn with a handful of dazzling and elaborate set pieces separated by interludes of bleak atmosphere (or interrupted by distorted rogue transmissions). Aside from being one of the album’s best pieces, “Surrounded” also marks the beginning of an extended hot streak that consumes roughly the entire middle section of the album, as what follows is a feast of wonderfully squirming and burbling synths; robotic voice commands; blearily surreal smears of chords; eclectic samples; and relentless forward motion. As much as I love some of the beats and hooks, however, the true brilliance of Impossible Star lies in Dangers' skill as a producer, as he seamlessly juxtaposes textures and motifs to weave something that is both bracingly physical and a bit of an unreal mindfuck. Hallucinatory and disorienting textures and motifs are a bit of an obsession with me, but this album hits a sickly, feverish and vaguely curdled tone that I rarely encounter. Also, that lingering sense of disquiet and wrongness is rarely the focal point, instead existing as an omnipresent background haze to the sharply realized and dynamic grooves and vocoder hooks that consume the foreground. It is a delicate balancing act and Dangers handles it masterfully. Also, aside from the more nuanced and detailed touches, there are some wonderfully overt feats of visionary sound design to be found as well. Naturally, the vibrantly squelching and jabbering synth hook of "We Are Surrounded" is one such highlight, but there are plenty of others. I especially enjoyed the brutally grinding high-hats that hit during the crescendo of "Unique Boutique," as well as the relentlessly scraping, crunching heaviness of the beat in "Nereus Rov." Also of note is the album’s 15-minute centerpiece, "Lurker," which is a tour de force of something resembling bleary and drugged robot funk. It sounds like a grotesque parody of a motorik groove, like some sort of futurist Neu! pastiche playing at the wrong speed on a distressed tape as I lose consciousness and plow my car into a tree. On the other end of the spectrum lies another aberration in the form of “T.M.I.,” a lazily bouncing and rolling "pop song" of sorts. Again, however, something is slightly off, like a phrase that has been translated and re-translated across several languages. Or like a song that has been covered so much that it has lost its connection to the original piece (in fact, it sounds like Wire tried to mimic the sultry and languorous pop of Sade…and then a precocious robot tried to mimic that). Dangers has appropriately achieved something with Impossible Star that should seemingly not be possible: evoking a paranoid, technological nightmare that is also a great headphone album masquerading as dance music. There is a depth and complexity at play that is quite compelling, yet it does not interfere all that much with the forward momentum of the beats. At its core, Star feels like a very crisp, precise, and expert trip through the last several decades of beat-driven electronic music that is competing with intermittent swells of loud ambient music or sound art happening in a neighboring room. Rather than sounding chaotic or messy, however, it sounds artfully disorienting–like it is meant to be there, but is just out of phase or slightly out of tune. That is not Dangers’ only trick though, as even his more straightforward motifs often have an element of funhouse-like disorientation to them: bass notes linger too long, textures are strangely corroded, and melodies feel too chromatic or random (like a code that got garbled by a virus). And sometimes it feels like the acoustics of Dangers’ studio were designed by a deranged German Expressionist, as motifs sometimes snarl or swim together in unusual ways. As much as I enjoy such details and moments, the larger reward of Impossible Star is only revealed when it is contemplated as a whole, as Dangers has woven quite a rich and evocative world: amidst his technologic dystopia, there are blissful snatches of old film scores alluding to better times, as well is crackling short wave radio transmissions that hint at darker ones to come. As such, Impossible Star is more than a collection of strong new songs: this is Jack Dangers' Blade Runner (or possibly his Neuromancer).